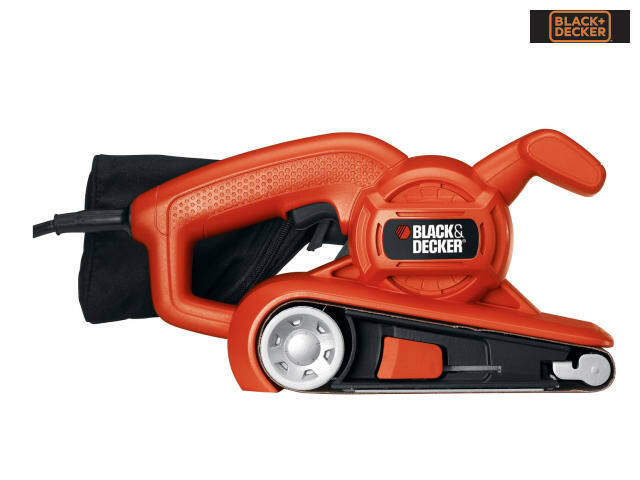 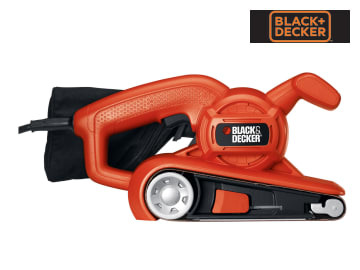 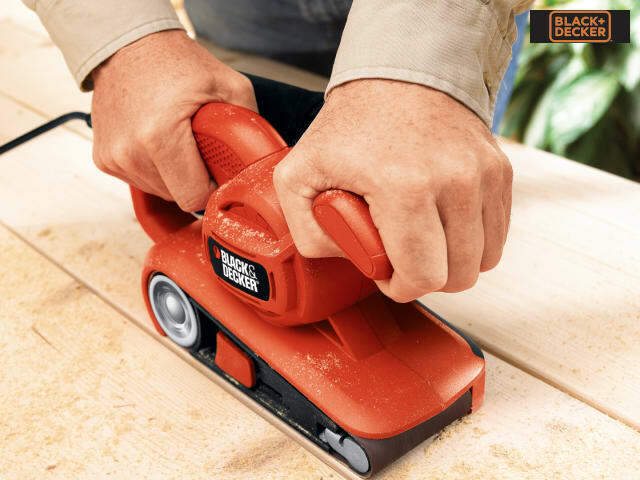 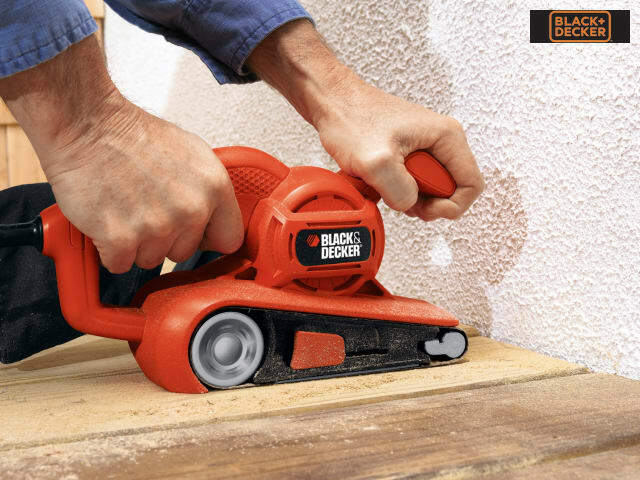 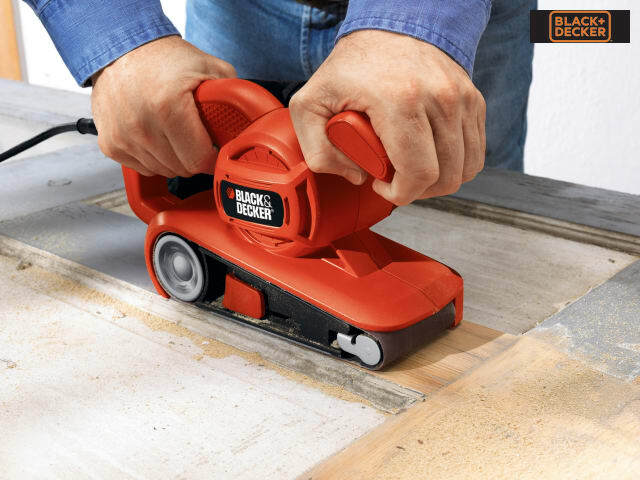 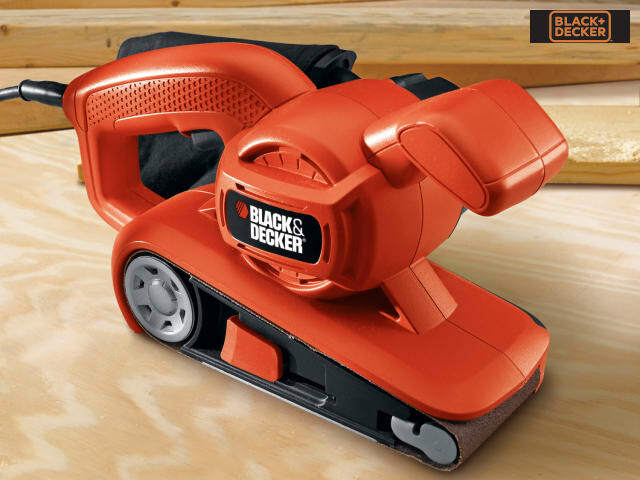 Black and Decker KA86 Belt Sander has an angled belt design enables you to sand 2 times closer to the edge of adjoining surfaces than normally. 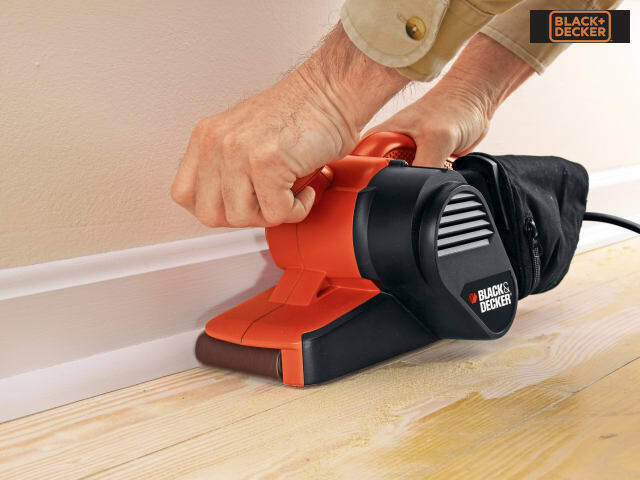 The powerful 720 Watt motor makes this ideal for sanding floor boards, decking and other large surfaces which require greater stock removal. 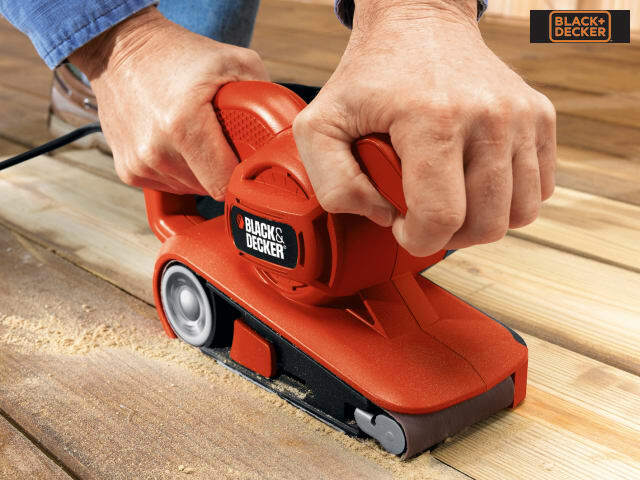 It has automatic belt tracking to keep the sanding belt in place and the lever action belt change mechanism allows for quick and easy accessory changing. 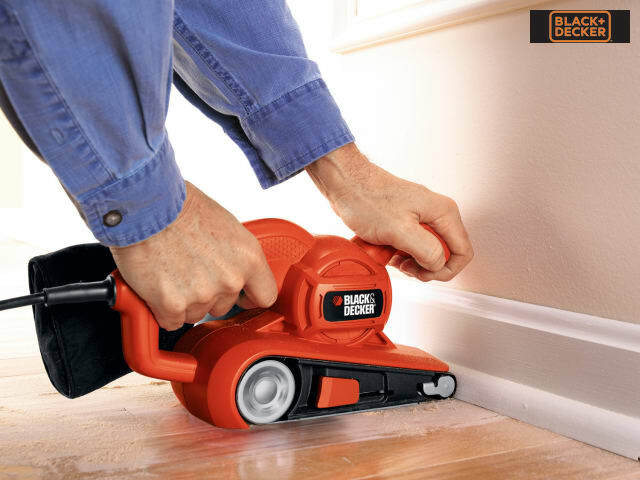 Supplied with a dust extraction bag for a cleaner working environment.